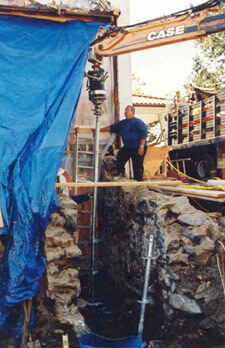 The foundation for this addition had a design capacity to depths up to 25 feet. 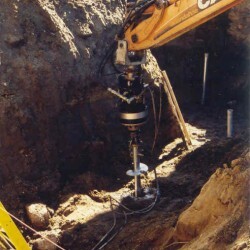 We installed eighteen 2-7/8″ tubular shaft helical piles with 25 kips. Atlas Tubular Shaft Helical Piles have a standard shaft diameter of 2-7/8″ to 4-1/2″. This may be something to consider if you are reluctant to support your building on 1-1/2″ or 2″ shaft helical piles (pencil rod). 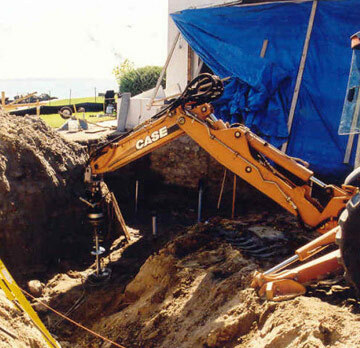 If you are unfamiliar with Helical Pile capabilities or design, Atlas Systems, Inc. Geotechnical Engineers will perform preliminary design for each of your projects at no cost.